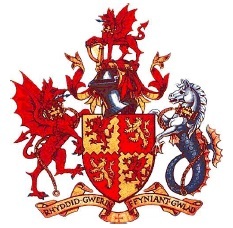 used informally by the Carmarthenshire County Council, prior to the formal award of arms in 1935. 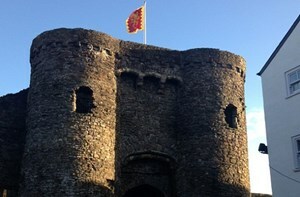 The design features two avowedly Welsh symbols, a leek and a harp – the latter being apt as the county is an important centre of Welsh musical traditions and poetry. 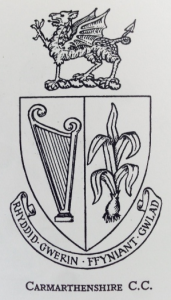 An alternative design has been created by Philip Tibbetts, taking the shield from the later council arms arms as inspiration. This design retains the same colours and indented divisions of the civic design. 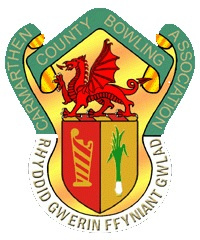 The county’s soubriquet of “the garden of Wales” is recalled in the inclusion in each quarter of water lillies, all suitably countercharged in red and gold. 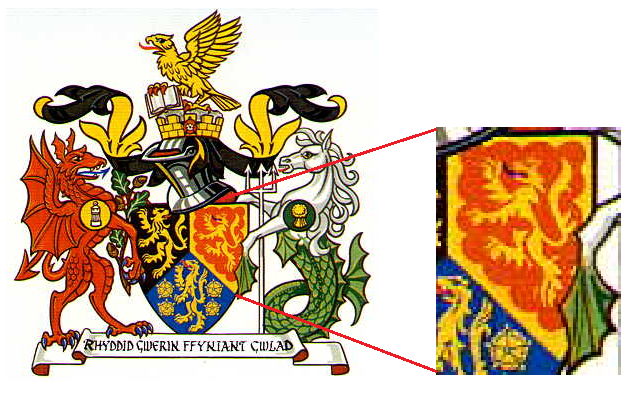 These flowers also reflect the county’s recognition as the “Ystrad Tywi” territory i.e. “Vale of the River Twyi/Towy”.